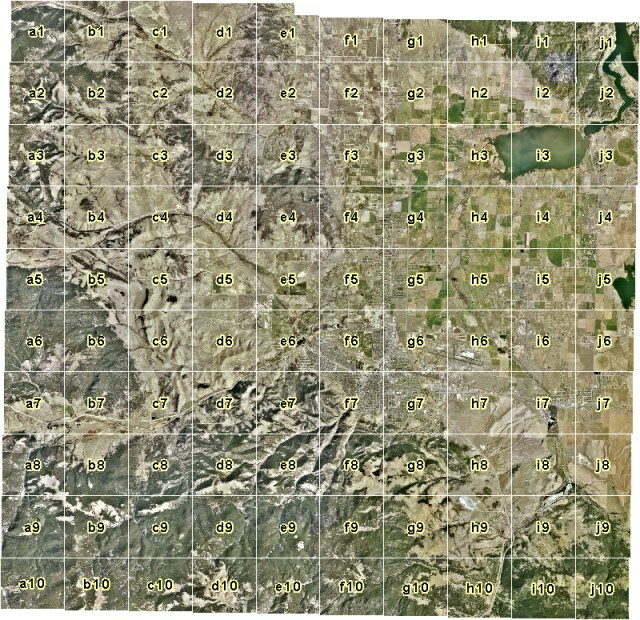 The images have a horizontal resolution of one foot and are in Montana State Plane Coordinates, NAD83, units meters. Each image is approximately 16 megabytes. Users of ArcMap software will need ESRI .aux files to accompany each image so that ArcMap will understand their coordinate system, or "spatial reference." Users of some software may need .sdw world files to accompany each image to view these images in their correct geographic locations.